There is no longer any need to post physical Amazon and iTunes cards when selling them on Cardyard. 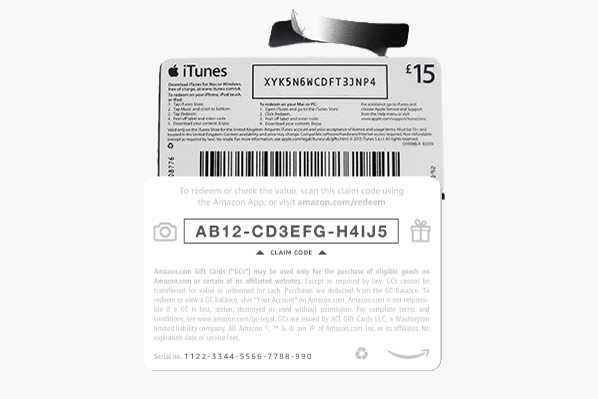 You now enter the redeem codes (claim code according to Amazon) into Cardyard when listing them on the site. We have extended the 90% face value offer for Amazon until the end of the year, so you get £9 for every £10 of value: eg get £90 for a £100 Amazon gift card. Likewise we have extended the 80% face value offer for iTunes.